Our environment is getting dangerous as the earth ages. It's very unfortunate for our kids to belong in this millennial era where everything should take with cautions. I often hear elders say "in my time, there were no such thing as Dengue, Birds Flu and Japanese encephalitis. Yes moms, Japanese encephalitis is the new virus being talked about in the country today and it's driving people crazy especially us as parents. Based on the Philippines news and articles, Japanese encephalitis cases are growing and it is very dangerous as severe case can kill the patient within 24 hours. This is very alarming, but before we panic we should know everything about JE to avoid misconception about this mosquito-borne viral infection . Based on the article published in Medical News Today website, Japanese encephalitis is most common in Japan, but it is thought to be widespread throughout Southeast Asia. It is a mosquito-borne viral infection, a virus of the flavivirus family. Humans can get the disease when they are bitten by a mosquito that carries the virus. Japanese encephalitis virus cannot be transmitted from one person to another. 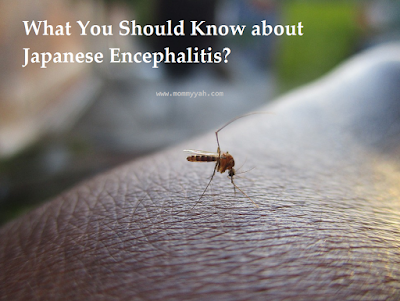 Although it was believed to have first emerged in Japan in the 1870s, has spread across Asia and has become the most important cause of epidemic encephalitis worldwide, its origin is still unknown. Who are prone to JEV? According to CDC, no specific treatments have been found to benefit patients with JEV, however hospitalization for supportive care and close observation is generally required. Fluids, and use of pain relievers and medication to reduce fever may relieve some symptoms. 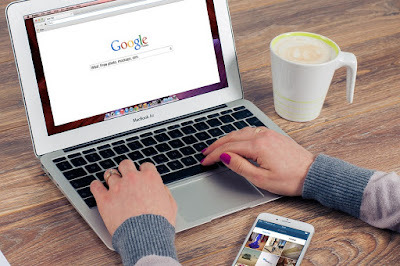 How to Minimize the risk? Avoid wearing dark clothes - mosquitoes most likely to perch on dark areas so it is recommended to wear light colored clothes. Keep proper hygiene - mosquitoes love odor from sweating. It is advice to take a bath everyday, put on some lotion and perfume so you can turn mosquitoes away. Clean your surroundings - mosquitoes live in dirty waters or plants with leaves that store water, so avoid growing plants with big leaves. Spray some air freshener to your curtains, closets, shoe racks, under your bed and sofa. If you don't have air freshener, you can make your own by mixing 1 tbsp. of downy and 1 tbsp. of baking soda. Baking soda has the natural antibacterial activity, while downy gives the refreshing odor. Have your kids vaccinated - ask your pediatrician about JEVimmunization. Although it can't guarantee that your child will be totally free from being infected, your child should have the complete shots to lessen the risk. Children 9 months to 17 years old should receive one primary dose. This is followed by a booster dose 12 to 24 months after. Those age 18 and above should receive a single dose only. Learn more about JE vaccines here.